Touring a college campus on an official or unofficial visit is a great way to determine whether you can see yourself going to school there. To get the most out of your visit, you and your parents need to come prepared with plenty of questions to ask the coach. While it’s important to ask about athletic requirements, coaching style and scholarship opportunities, there are many less obvious questions that can make or break your college experience. To get a feel for everyday life as a college athlete, here are five important but overlooked questions you should ask college coaches. Where do athletes live on campus? Do most athletes room together? Do they live in dorms or off-campus housing? Many colleges have specific dorms or apartments for student-athletes. However, other schools (especially D3 and NAIA schools) prefer to integrate athletes with the rest of the student body. Both living situations have their pros and cons. Rooming with other athletes can help you forge strong bonds with your teammates, while living with non-athletes can help you make friends outside of sports. This could be key if you decide to leave the team due to injury or to focus on academics. If the college has team-specific dorms or apartments, try to gauge the distance to academic buildings. This can help you figure out if you’d need a bike or a car to get to class. What are the most popular majors for athletes? College isn’t just a four-year decision—the field you study will impact the rest of your life. Ask coaches and players which majors and minors are most common the team. If you already have a degree in mind, see if any other athletes are majoring in a similar field. In general, majors like business, exercise science and communication are popular among student-athletes. On the other hand, engineering and pre-med majors can be difficult for athletes to balance with sports due to demanding coursework, numerous credits and time-consuming lab requirements. Before you commit to a school, make sure the academic opportunities you’re looking for are available and realistically manageable. 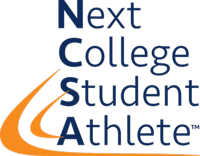 Many colleges require student-athletes to sign up for study halls on weekday evening and weekends. While study halls aren’t the most fun way to spend precious downtime, they are a great way for athletes to catch up on homework and prepare for upcoming tests. And since many student-athletes have the same majors and take classes together, study halls give you a chance to collaborate on group projects and get help on tricky assignments. Ready to road trip? Power 5 colleges and other schools with big budgets often take chartered or commercial flights to away games if the drive is over two hours. However, smaller schools regularly sit on buses for as long as 6-8 hours during the season. Check the distance to the closest major airport and ask how far on average the team travels to away games. The longer the average travel time, the more class time you’ll miss. In most cases, D2, D3 and NAIA teams compete against schools in-state or within a smaller region. You will more than likely need to use travel time on the bus to get homework done and study for tests. Where do athletes go for break? Where you spend college break largely depends on your sport. Basketball teams often compete in tournaments around Thanksgiving and winter break, while baseball and softball teams often plan spring break trips to warmer climates for practices and non-conference match-ups. Find out where athletes typically go for break. Are you looking at an out-of-state school? If the team has break off, you may find themselves alone on campus unless you fly home or make plans to spend break with friends.